Now you can turn back time while you sleep! This super charged, anti-aging mask works overnight for maximum benefits and absorption while your skin is at rest. Intensive levels of (20%) hyaluronic acid promote deep hydration, easing stress and dryness, while filling and plumping fine lines and wrinkles. Upon application, you'll also notice a lifting and tightening effect. Four proprietary technologies keep your skin super soft, moist and supple while visibly lifting and tightening facial contours. 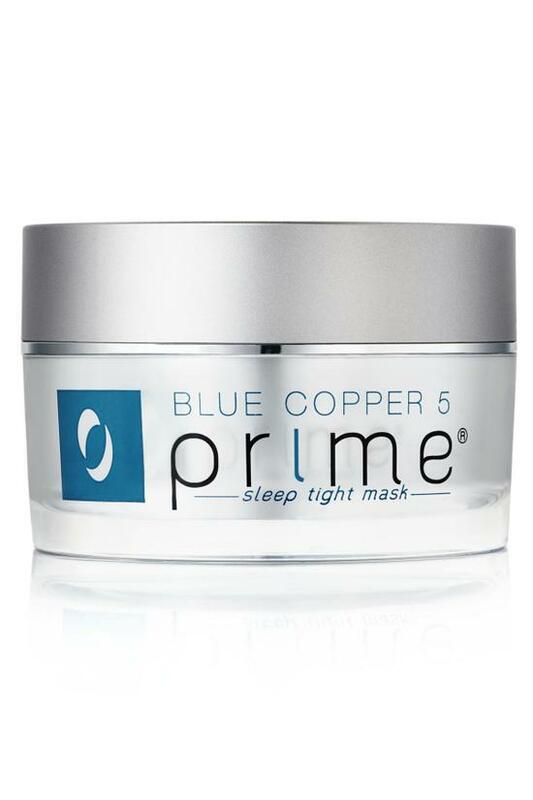 Sleep tight and awaken to smooth, firm, ageless skin, with a healthy, radiant glow. 1.7 oz. At night before bedtime apply generously to cleansed skin. Using brush or fingertips, smooth over entire face/neck (avoiding eye area) and allow to remain on skin overnight while you sleep. May be used one to three times weekly or as needed. Wash brush after use. NOTE: Color changes are normal and do not affect product performance. Firmly close lid after use. Store at room temperature away from direct sunlight. Water, Sodium Hyaluronate, Dimethicone, Glycerin, Hydrolyzed Manihot Esculenta Tuber Extract, Glyceryl Stearate SE, Butylene Glycol, Acetyl Hexapeptide-38, Paeonia Albiflora Root Extract, Prezatide Copper Acetate, Saccharide Isomerate, Malachite Extract, Copper PCA, Lavendula Angustifolia (Lavender) Oil, Mica, Titanium Dioxide, Olethy-10, Hydroxyethrylcellulose, Carbomer, Phenoxyethanol, Ethylhexylglycerin, Potassium Sorbate, Tromethamine.